The Austin Life: August in Review, FINALLY! Finally, August Pictures, even if they are still mostly unedited! We had a wild month! We tried to squeeze in the last of summer fun at the zoo, splash pad, the forest, the safari, the zoo, a baseball game and more. All 3 kiddos were off to school for the first time, Asher in Kindergarten, Addison in 2nd grade and Alivia in the 4th grade! 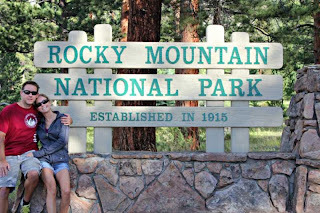 Chris and I then took a small weekend trip to Estes Park to celebrate our 14th wedding anniversary while the kids stayed behind with Grandma Bet and Grandpa Bill. I'm not sure who had more fun?!?! It was a wild month...with many memories.